What I like here? Legs, especially. Overall idea is great and this will probably be my main reference picture. Legs are staying, I love them. Weakest thing: weapon. What I like here? Weapon. Mainly weapon. 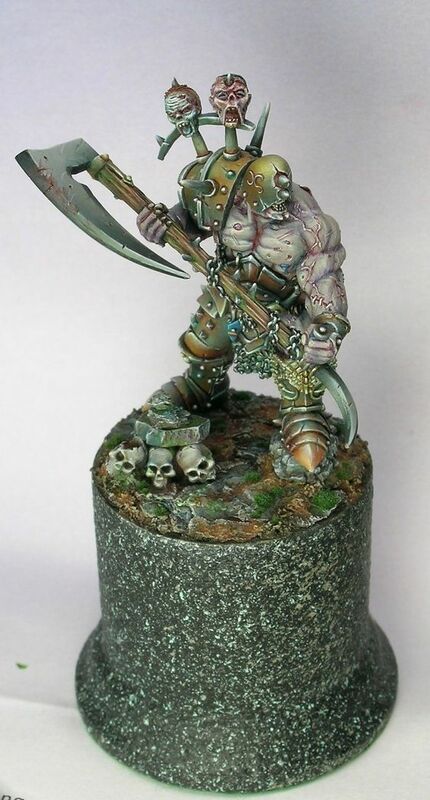 I really want to have a Nurgle scythe, something Manreaper-like, but also stay true and have a giant axe. I'll figure it out. What I like here? The face is awesome. 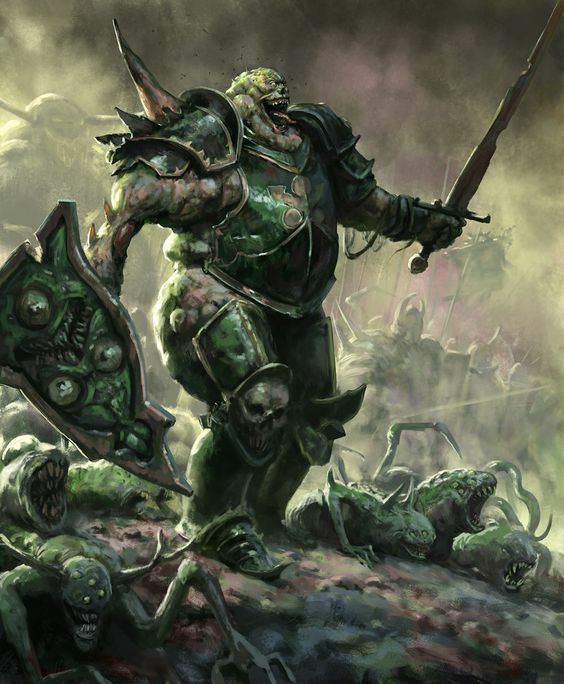 I want to have exposed face since it's so much easier to make a helmet, and a rotting head would be both a challange and an awesome piece of costume if i will succeed. The chestplate is great as well, not to mention the insane shield. The sword is a no-go though. I'll stick to the axe. 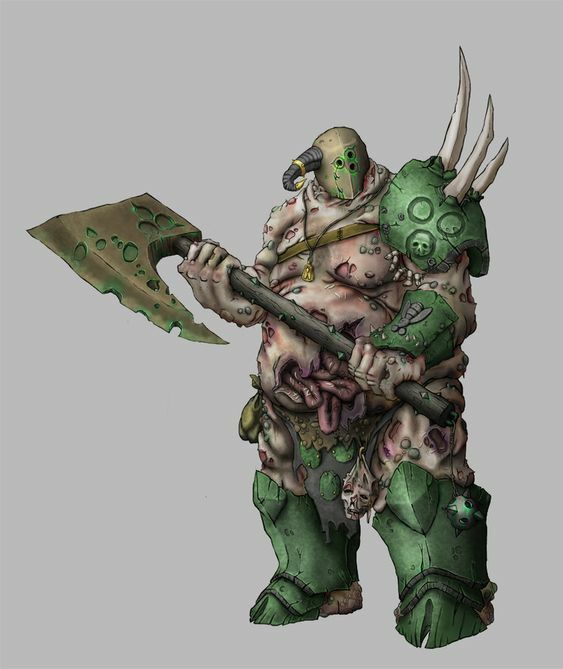 If I will craft the shield it will be strapped to my back, but it's a poor idea as well as I want to create rotten back with exposed spine and LOT OF SPIKES along it. Like, A LOT OF SPIKES. First step: figure out how to make necrotic flesh bodysuit. First step, part 2: legs. I look forward to this build with anticipation. I can't wait for this as well.